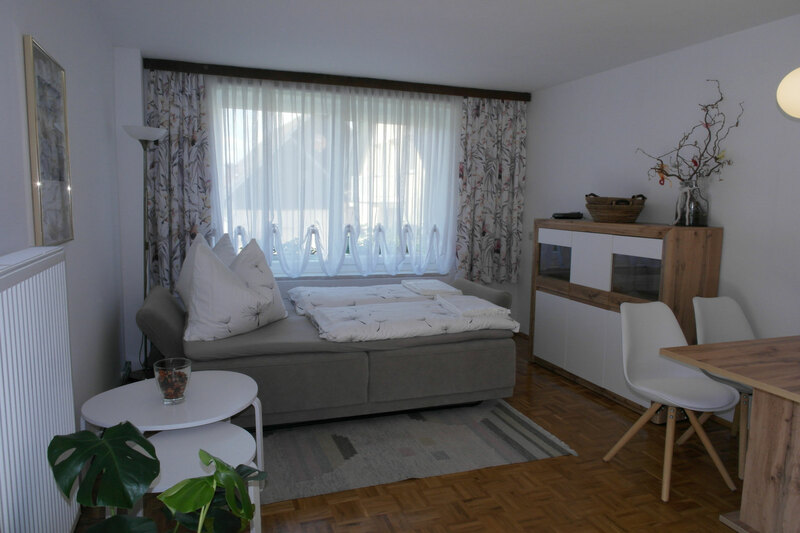 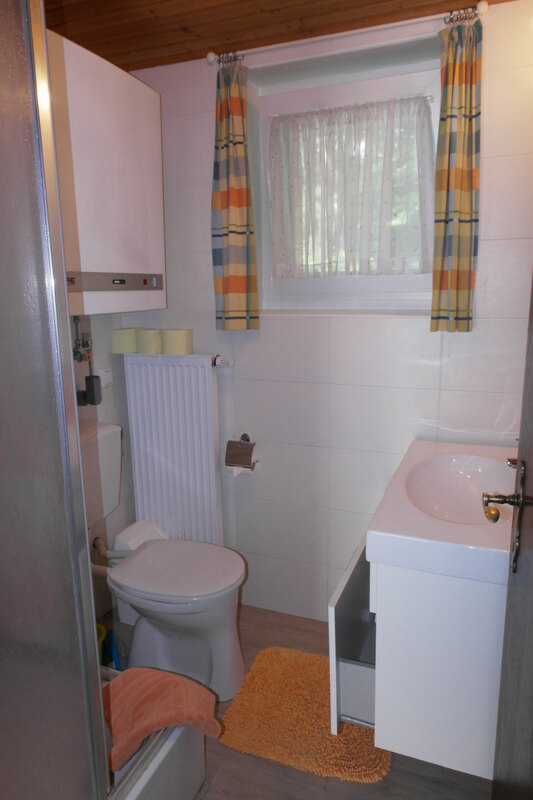 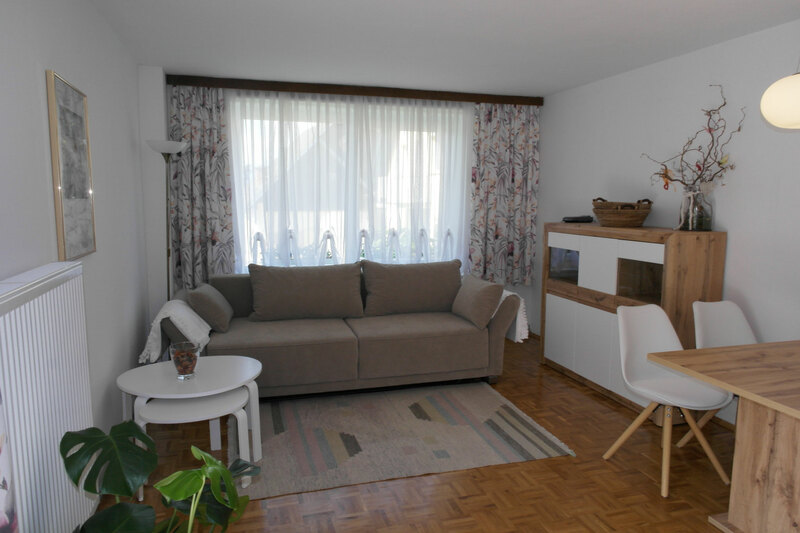 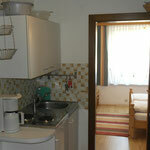 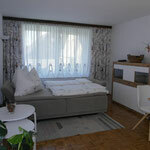 Apartement type B with approximately 45 m² is a very small but cosy accommodation for 2 and maximum 4 persons. 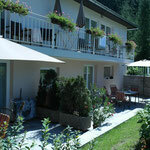 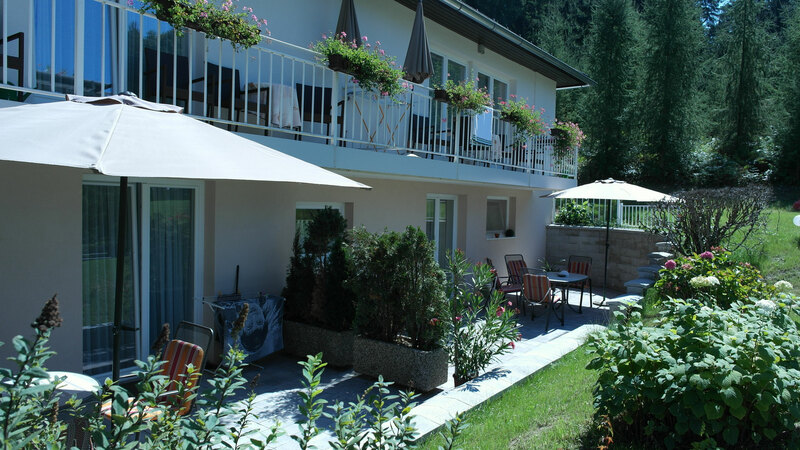 Typ B is located in the basement of the guesthouse with a terrasse to the garden and view to the west. 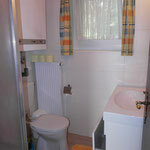 anterroom, sleeping room, bedroom in the living room, kitchenette, Bathroom and toilette, terrasse. 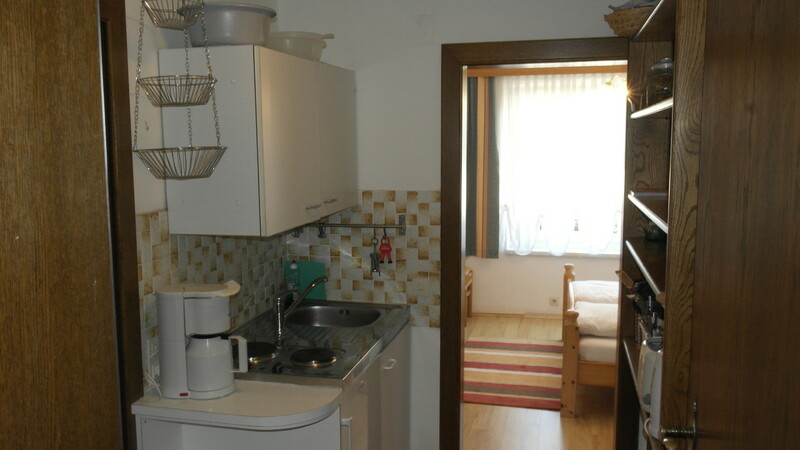 refrigerator, electric kitchen stove, coffe machine, electric kettle, toaster, W-Lan, satelite TV, radio .